Drama, high-suspense, unprecedented events, unexpected twists- the year 2018 took the Supreme Court through a roller coaster ride of events. With the dawn of the new year, it is worthwhile to have a retrospect of major SC events of 2018. January 12 began as an otherwise slow news day for the legal correspondents. Then suddenly this news broke that four senior SC judges- Justices Chelameswar, Kurian Joseph, Gogoi and Lokur- were going to hold a press conference at the residence of Justice Chelameswar. The news was initially greeted with disbelief. Such a thing had never occurred. A lot of earth shattering revelations were made in the press conference. Justice Chelameswar, who did most of the talking at the presser, said that administration of justice was not in order and that "many things which are less than desirable have happened in the last three months".The judges handed over to media a letter written by them to the then CJI Dipak Misra, which, among other things, stated that "cases having far-reaching consequences for the nation and judiciary were selectively assigned to benches of preference without any rational basis". The unprecedented press conference was a harbinger for more dramatic events which were to unfold in the coming months. The hearing of the petitions seeking SIT investigation into the death of CBI Judge B H Loya was in the centre of the news during the first quarter of the year. It was widely speculated that the allocation of the Loya case to a relatively junior bench headed by Justice Arun Mishra was one of the triggering points for the judges' press conference. This was corroborated by Justice Gogoi's affirmative nod accompanied with a "yes" to a query by reporter as to whether the Loya case had any connection with the press conference. And, on January 12 - the day of press conference- Loya case was listed for admission before the bench of Justice Arun Mishra. Anyhow, matter was later considered by a different bench, which was headed by the then CJI. The hearing of the case witnessed charged exchanges between lawyers Dushyant Dave, Harish Salve, Mukul Rohatgi, Thushar Mehta and Pallav Sisodia. Dave, appearing for Bombay Lawyers Association,insisted that Salve cannot be permitted to appear for State of Maharashtra, as he had appeared for Rubabbuddin Sheikh( the brother of deceased Sohrabuddin Sheikh) and Amit Shah in different proceedings arising out of the same case. It was also alleged that there was conflict of interest on the part of Pallav Sisodia, the counsel for one of the petitioners, as he had appeared for Amit Shah in an earlier proceeding connected with Sohrabuddin-Tulisram encounter case. The heated arguments often resulted in unsavoury scenes, forcing the bench to intervene on more than one occasion to cool the tempers. On April 19, the SC ruled out any foul play in Loya's death and dismissed the petitions. The judgment was widely criticised by many in the legal field. Former judge Justice AP Shah termed the judgment "utterly wrong and jurisprudentially incorrect". 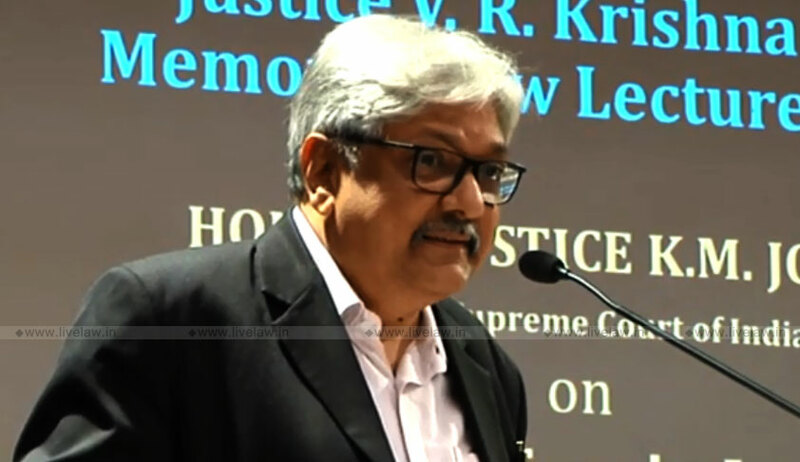 A major controversy arose when the Centre sent back the recommendation of Justice K M Joseph on April 26.The Centre split up the collegium's recommendation to grant approval only to the appointment of Indu Malhotra. This unprecedented act of selectively withholding approval to one of the Collegium recommendees was widely criticised as an act of high-handedness, with some drawing parallels to the notorious executive interferences with judiciary during the regime of Indira Gandhi. It was widely perceived that Justice Joseph was being targeted for ruling against the Centre in 2016 by quashing the presidential rule in Uttarakhand. Law Minister Ravi Shankar Prasad cited reasons of lack of seniority and regional over-representation for seeking re-consideration of Justice Joseph's name. Several prominent SC lawyers moved a resolution condemning the Centre's action. Senior Advocate Indira Jaising moved a petition seeking to stay the warrant of appointment of Indu Malhotra on the ground that Centre cannot split up collegium recommendations. However, the prayer was turned down by the bench of CJI. Indu Malhotra became the first woman advocate to be directly appointed as Supreme Court judge. Her name was jointly recommended along with Justice KM Joseph by the SC collegium in the first week of February. The major grievance ventilated by the four senior judges in the press conference was regarding the "selective allocation of cases" by CJI using the powers of 'master of roster'. Following the press conference, the then CJI Dipak Misra introduced a subject wise roster system in the first week of Feburary 2018. In April, the bench headed by CJI dismissed a PIL by lawyer Asok Pande, which sought for regulations on the power of "master of roster". It was declared in the judgment that allocation of cases and constitution of benches was an exclusive prerogative of the CJI. Following this judgment, another bench dismissed a petition filed by Shanthi Bhushan, which sought for declaration that 'master of roster' power should be exercised not by the CJI alone but by a collegium of senior judges. The system of subject wise roster system was continued by the new CJI Ranjan Gogoi after his assumption of charge. In April, few opposition MPs of Rajya Sabha submitted a motion to impeach CJI Dipak Misra, based on allegations of misconduct in relation to Medical College Bribery case, abuse of powers of master of roster etc. The motion was rejected by RS Chairman Venkaiah Naidu on the ground that there was no "proved misbehaviour". Two MPs challenged the rejection before the CJI. The petition was listed before a five judges bench of Justices Sikri, Bobde, Ramana, Arun Mishra and A K Goel. Senior Counsel Kapil Sibal, who appeared for the petitioners, took objection to the fact that a five member bench was hearing the petition for the first instance, instead of a two-member bench. Sibal insisted for getting the copy of the administrative order which constituted the bench. The SC declined to accede to the request. This led to Sibal withdrawing the petition. When the Karnataka governor invited the BJP to form government after the assembly polls in May, ignoring the claims of post-poll alliance of Congress and JD(S), it paved the way for a dramatic midnight hearing at the SC. With the swearing of BJP government under the leadership of B S Yeddyurappa scheduled on May 17 morning, Congress and JD(S) rushed to the CJI on the night of May 16 for an urgent hearing of plea challenging the Governor's decision. The CJI acceded and constituted a special bench of Justices A K Sikri, Bobde and Ashok Bhushan. The bench held a special hearing from 2 AM to 5.30AM. The Court declined to stay the swearing-in ceremony. However, the Court directed Yeddyurappa to produce the letter sent by him to the Governor showing majority support on Friday. The Court also clarified that the swearing-in will be subject to the result of the petitions. In 2015, the SC witnessed a similar midnight hearing to hear the plea to stay the hanging of Yakub Memon. The SC Collegium re-iterated the name of Justice K M Joseph on July 16. Justices Chelameswar and Kurian Joseph had openly written to the CJI urging for immediate re-recommendation of Justice Joseph's name. The Centre accepted the recommendation on August 3, along with the names of Justices Indira Banerjee and Vineet Saran. This resulted in Justice K M Joseph taking position as junior to the other two judges. It was pointed out by many that on Centre's acceptance, the original proposal of Justice Joseph, which was made in Februray, got revived and hence his seniority ought to have been reckoned with effect from date of original proposal. Reportedly, few judges were upset with the alteration of Justice Joseph's seniority and met the CJI. The CJI in turn agreed to take up the issue with the Centre . Anyhow, Justice Joseph took oath on August 6 as junior to the other two judges. 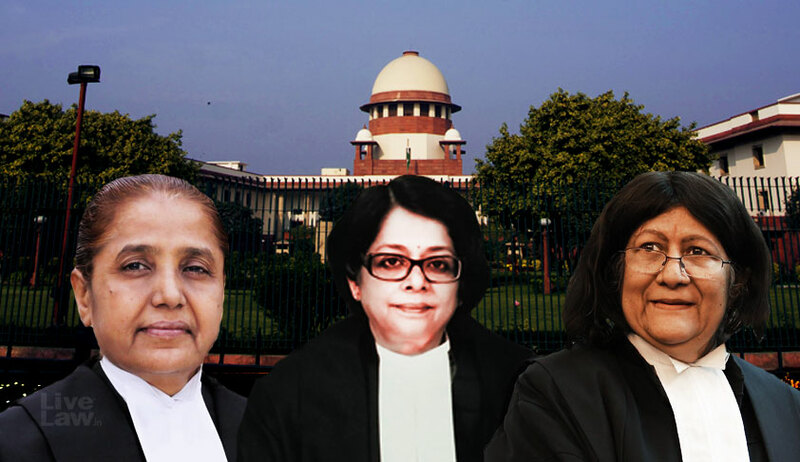 With the elevation of Justice Indira Banerjee, the number of women judges in SC rose to three, for the first time in history. The months of July-August witnessed back to back constitution bench hearings in matters of Sabarimala, Sec.377 IPC, Sec.497 IPC, petitions seeking bar of charge-sheeted politicians and petitions concerning reservation in promotions. The SC has not witnessed similar consecutive hearings of constitutional matters in the recent past. When the floods badly ravaged Kerala in August, the Supreme Court judges swung to action. All judges resolved to contribute Rs. 25,000 each out of their salary to the CM's flood relief fund. The SC lawyers arranged a drive to collect relief materials for Kerala, which saw astounding participation. Justice Kurian Joseph volunteered in the collection drive. 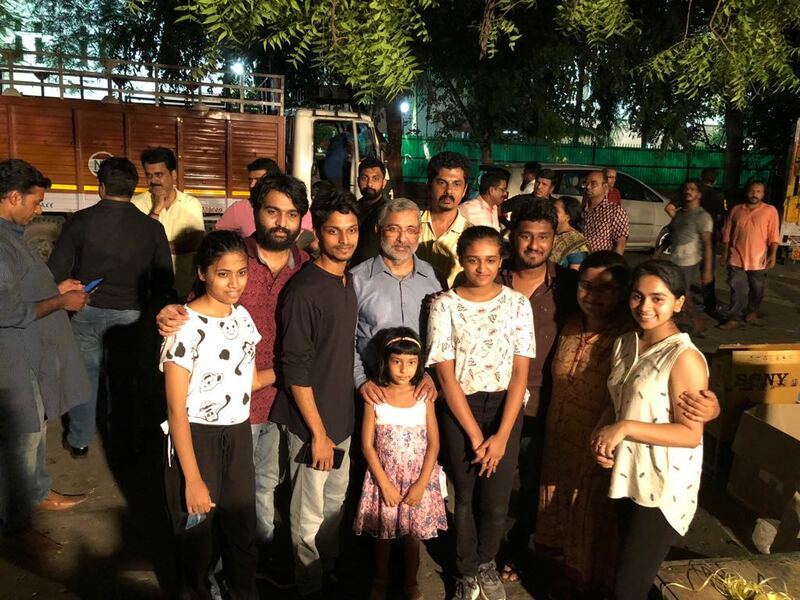 Later, the press reporters of SC arranged a fund raising event for Kerala flood relief, in which Justices K M Joseph and Kurian Joseph sang, along with Bollywood play back singer Mohit Chauhan. Justice Gogoi's participation in the press conference had given ground to talks of a possible supercession. Putting to rest all speculations, the Ranjan Gogoi was appointed the Chief Justice of India based on the recommendation of the outgoing CJI Misra. The SC collegium's recommendations for elevation of four judges to SC, namely Justices Hemant Gupta, Subhash Reddy, M R Shah and Ajay Rastogi, was acted upon by the Government within 48 hours by issuing appointment warrants. Later, CJI Gogoi, while speaking to media persons, expressed surprise at the speed with which Government accepted the recommendations of these four judges. "Leak" of sealed cover reply of Alok Verma. The petition challenging the removal of Alok Verma from the charge of CBI Director witnessed dramatic moments. The CJI-led bench had directed the CVC to complete the enquiry against Alok Verma within two weeks under the supervision of retired SC judge A K Patnaik. Alok Verma was directed later to submit his reply to Court in a sealed cover. On November 20, the CJI was visibly upset with the fact that the contents of the sealed cover reply of Alok Verma was leaked to the media. The CJI minced no words in expressing his displeasure. However, it was later clarified by Senior Counsel F S Nariman that the media had published the responses given by Verma to a CVC questionnaire and not the sealed cover reply filed in SC. Anyhow, the explanation could not persuade the CJI to hear the matter on that day. The matter was adjourned. On November 25, Prime Minister Narendra Modi and Vice President Venkaiah Naidu attended a dinner hosted by the CJI at the Supreme Court premises on the eve of Constitution Day. 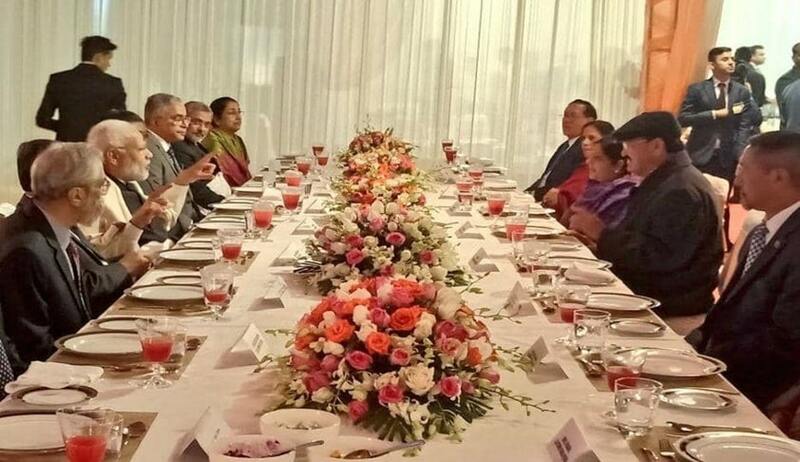 Chief justices and judges from Bangladesh, Myanmar, Thailand, Nepal and Bhutan, who are here to attend the BIMSTEC (Bay of Bengal Initiative for Multi-Sectoral Technical and Economic Cooperation) conference, were also present. After the dinner, the PM reportedly expressed his desire to visit Court Room No.1, the CJI's court, which was not there in the original itinerary. As per reports, PM Modi walked up to the court room and sat in one of front row seats, where senior counsel sit and rise for arguments. He then made numerous inquiries about the traditions of Court No. 1. The CJI reportedly asked if he would care for a cup of tea, and Modi agreed. He left the court after 10 pm. His surprise visit to CJ's court is something no prime minister is known to have done in 60 years. On December 14, the SC dismissed the petitions seeking SIT probe into corruption allegations in Rafale deal. As regards the pricing details of the deal, the SC recorded in the judgment that the details had been given to the CAG and that the PAC had examined the CAG report. It was further noted that the a redacted version of the report was placed before the Parliament. On this premise, the SC held that it was not reviewing the pricing details. Immediately after the judgment, opposition parties cried foul over these observations made by the SC. It was pointed out that no such examination has been made by the PAC over Rafale pricing details. The observations of the SC were based on the statement given by the Government in a sealed cover. To worsen the situation, the Government filed a correction petition the very next day stating that the judgment was based on a misinterpretation its statements regarding CAG report and PAC. This has put the SC in a spot. All eyes will be on the SC after it reopens in the new year to see how it tackles this issue. Seven SC judges retired in 2018 : Justices Amitava Roy, R K Agrawal, Chelameswar,A K Goel, Dipak Misra, Kurian Joseph and Madan B Lokur. Eight judges were appointed to the SC in 2018 :- Justices Indu Malhotra, Indira Banerjee, Vineet Saran, K M Joseph, Hemant Gupta,Subhash Reddy, M R Shah and Ajay Rastogi. The Collegium has reportedly recommended the elevation of Justices Rajendran Menon and Pradeep Nandrajog, who are presently CJIs of Delhi and Rajasthan High Courts respectively.